Jeddah is a major Saudi Arabian city located on the Red Sea. The government initiative could increase the volume of tourists that the area receives. Photo credit: shutterstock.com. Saudi Arabia has a petroleum dependent economy. With the aim of diversifying the economy, the government has introduced taxes and added subsidies. In April, the country has also unveiled the ambitious Vision 2030 plan. The program is expected to significantly increase revenues from the other industries. The Red Sea region is an area of great diversity regarding flora and fauna. Also, present within the geography of the area are dormant volcanoes mainly concentrated in Harat Alrahat. The sea itself offers a broad range of activities for diving enthusiasts with its abundant coral reefs. Within the vicinity of the coastal project are the Madain Saleh ruins, which tourists can visit while enjoying the coast of the Red Sea. One of the sectors the government is focusing on is the tourism industry. In a report by Reuters, the deputy crown prince revealed the plan to develop more than 50 natural islands along the Red Sea into a tourist destination according to international standards. The project, named The Red Sea Project, will cover a stretch of 34,000 kilometers of the area between Amlaj and Al-Jawh. Since most of the tourism in the country is currently dependent on Muslim pilgrims to Mecca, the Red Sea project will create diversity in the tourism industry as well. Both the Public Investment Fund and Saudi Aramco, the largest oil exporter in the country, will fund the project. Partnerships with other top international companies and direct investors will also fund the project. The Saudi Arabia tourism project is bound to attract top players in the hospitality and tourism industries who will be instrumental in nurturing the growth and success of the project. Bloomberg reports that, should the project succeed, about 35,000 jobs will be created and about $4billion raised to the GDP. 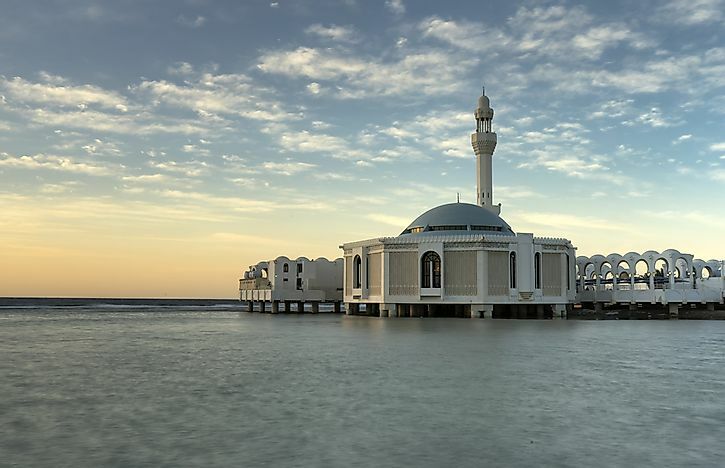 The project, which has been described as a semi-autonomous area, hints at the possibility of the strict and conservative Islamic government relaxing its regulations on tourism. The implementation of the plan is set to begin in the third quarter of 2019 with the first phase to be completed by the fourth quarter of 2022. The first phase of the project will involve the development of necessary infrastructural facilities. Some of the infrastructural facilities that will be established in the area include an airport, seaport, and sea transport systems like boats and water jets, and luxury accommodation facilities and hotels. While developing the area for tourism, the project will aim at upholding international regulations and preserve the heritage of the region through observance of international regulations. The country will also establish mechanisms to ensure environmental sustainability. The visitor to the region will be able to sample the ancient ruins of Mada’in Saleh, which is a relic of civilization of the same period with that which built the city of Petra Jordan, a UNESCO world heritage site.